Here are some star and stripe pattern (free PDF download) I reused from my last 4th of July project (Printable Paper Firework Rocket Pencil Toppers). 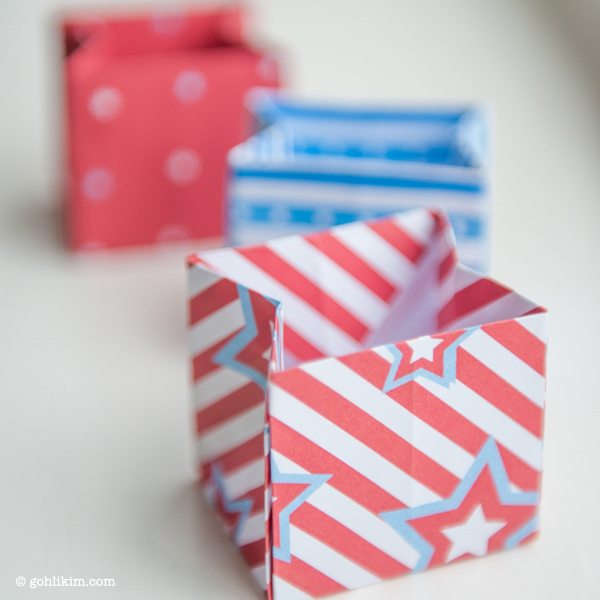 I made it into a 6″ x 6″ square to fold it into these cute origami boxes/gift bags. The finished dimension is about 2″w x 2″h x 1.5″d. It’s quite small good for little things like sweets. If you like it bigger, you can enlarge it by setting the print size at 130% to get a 8″ x 8″ square just big enough to fit on a A4 or letter size paper. Please visit this link for the box/bag instruction. I didn’t use any tape at all, it holds up pretty well without the tape. Enjoy and Happy 4th of July to those who celebrates! 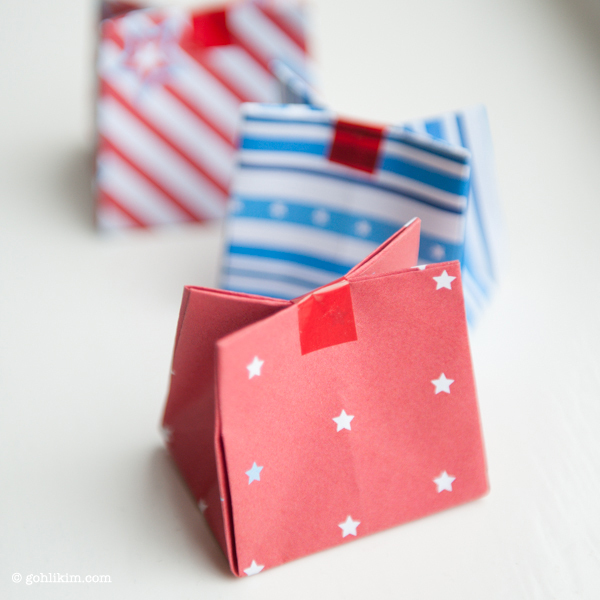 Seal it with a tape, it makes perfect little gift bags!